Attorney Anna Villarreal has more than 10 years of legal experience. Whenever possible she seeks to resolve disputes through negotiation and mediation. However, she is an aggressive trial lawyer when necessary to protect your best interests. If you call the law firm after business hours, you won't have to talk to an answering machine. After hours, the firm forwards calls to your lawyer's cellphone. This means you can call your lawyer on evenings, weekends and holidays if you have an emergency that needs to be resolved. Divorce, child custody and other family law issues are about personal matters. 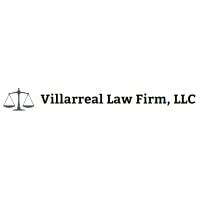 Villarreal Law Firm, LLC is dedicated to giving you the personal service and attention. The law firm serves in Chillicothe and throughout central and southern Ohio.